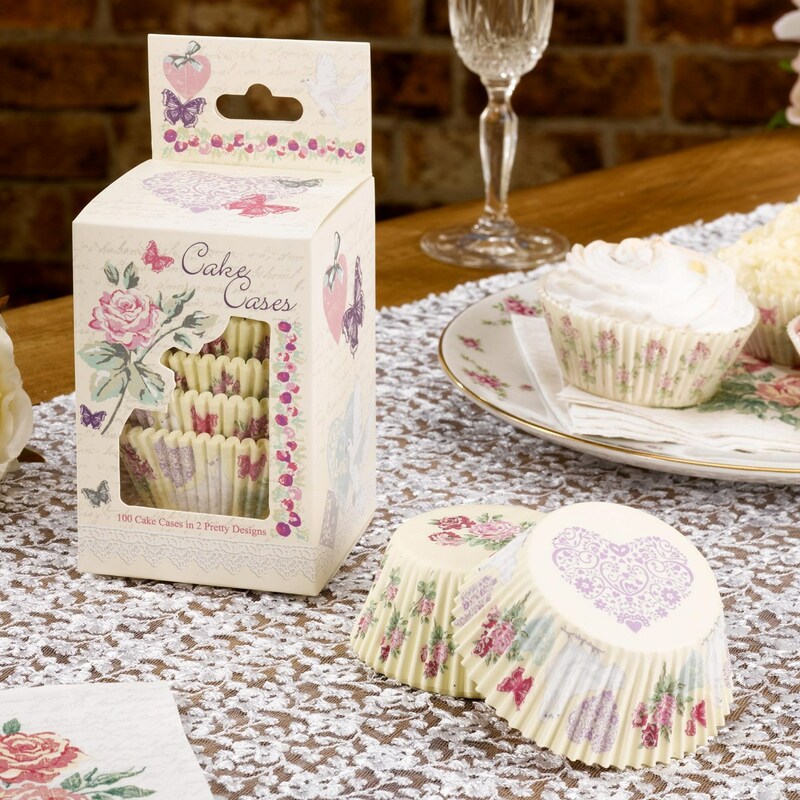 A pack of 100 cake cases, in two complimentary designs. Part of the "With Love" wedding collection, these cases add a romantic flourish to even the most simple of cakes. Half of the cases feature a delicate floral bouquet design, and the other half are illustrated with the "With Love" motifs of hearts, flowers, butterflies and doves. A simple but effective way to co-ordinate each aspect of your wedding catering, these charming cases are perfect for couples looking to recreate a romantic, vintage theme for their special day.